How can the acyclic data be read from a DC1 drive over Smartwire in Codesys? 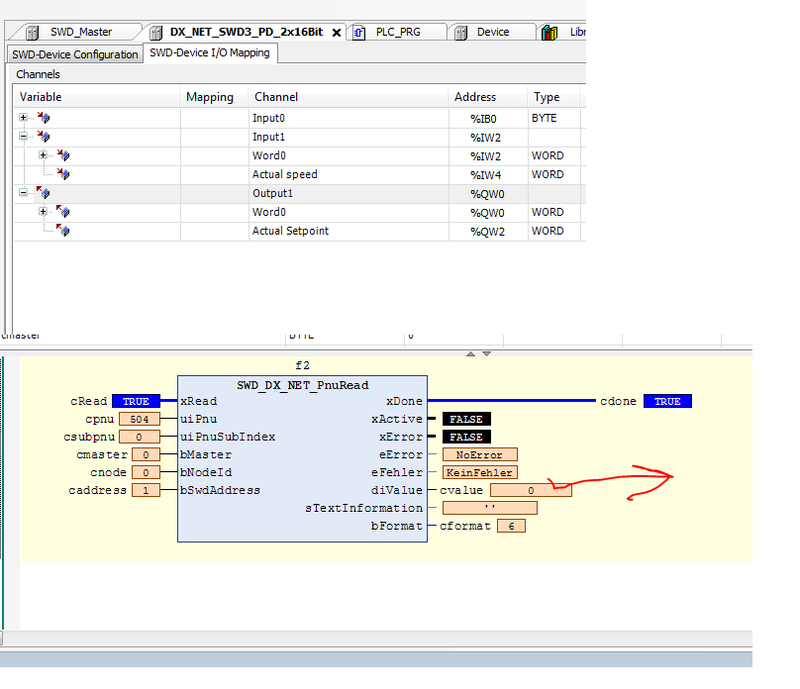 3) cyclic data control comes under IO map in Codesys 3. 4) You need to add the attached library in Codesys 3. 6) Momentary signal is enough for cRead . You don’t have to keep this input TRUE all the time. If you want update current reading regularly such as every sec, you will need to use additional functional blocks to create a cycle.